I’ve been playing around with a couple of Konami Viper PCB’s that Olly sent me recently. The idea was to get a working PCB for his Silent Scope Fortune Hunter. This board set was non booting and a quick visual inspection showed some signs of ‘man-made’ damage. First was the 3793-A voltage sense IC was a bit mangled which had lifted most of its traces. 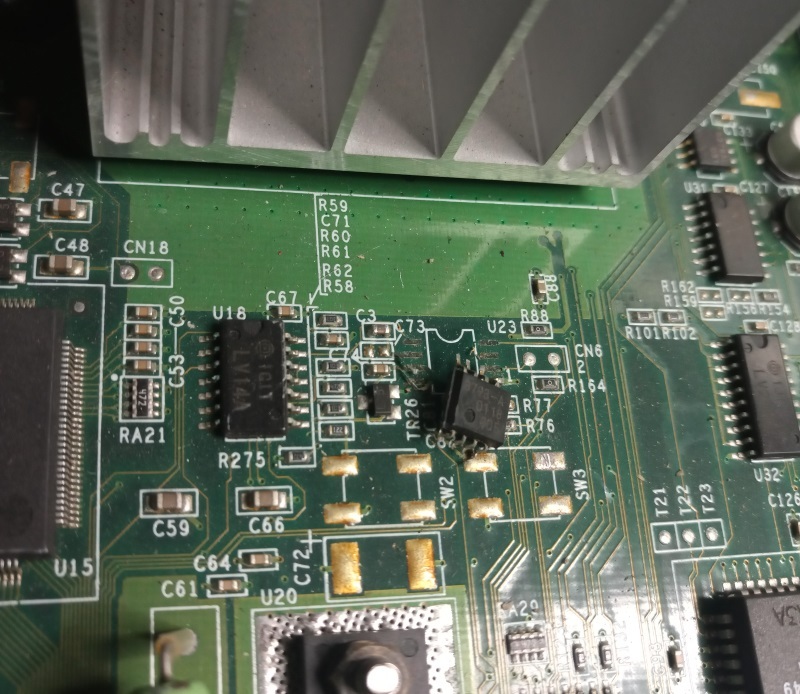 Chances are this was causing the PCB to not boot as this chip is responsible for making sure the voltage levels are what they should be. As its a small pin count it was fairly easy to patch up the traces. 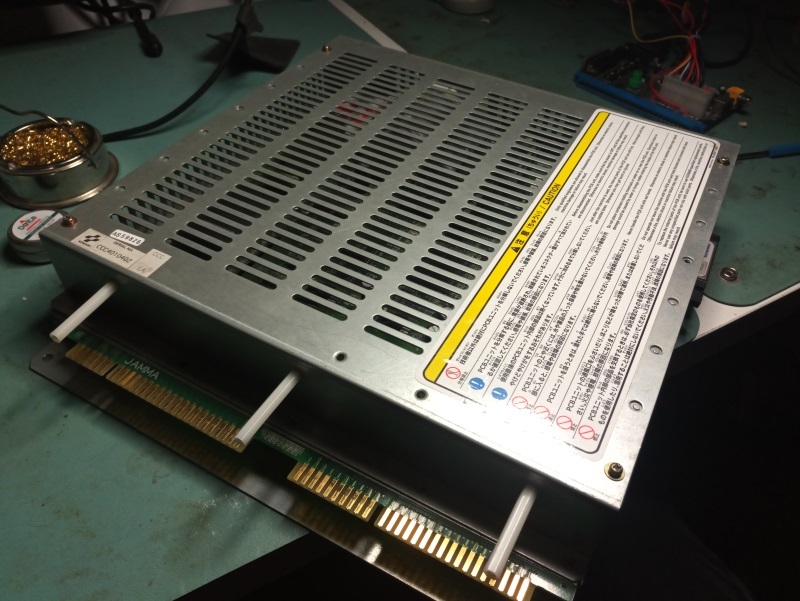 The second issue was the DS2430 IC has been removed. Luckily this was provided in a small bag so I was able to refit it (after dumping it). 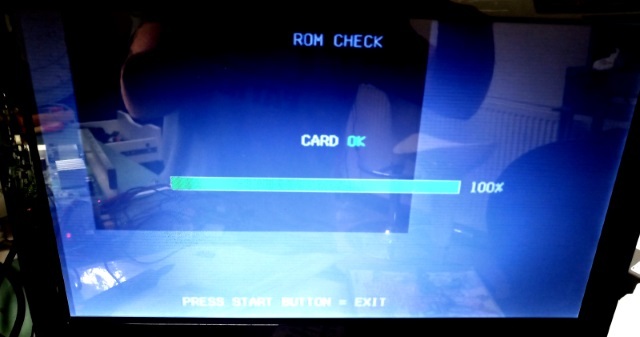 This IC is in a TO-92 package and is responsible for providing one aspect of the security on this hardware. I never took any pictures of this but its only 3 legs to solder and there was no damage. Taking pictures of this was really hard due to the amount of glare my cheap screen gives. From here I can get the game to boot up but I cannot test beyond that. I will send this PCB back to Olly and hope it works out for him.